mrs sew & sow: FAL, Fail, Finish? Not as bothered as I might seem about actually finishing off my FAL list as it was quite a long one! 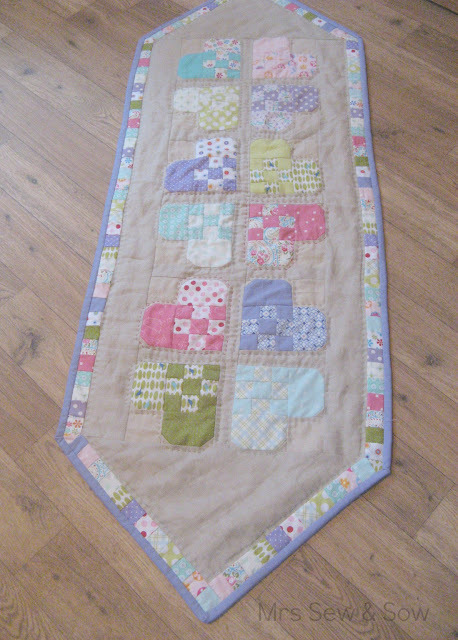 I gave this quilt to my friend Eloise for her birthday in February as she seemed to like it! Is it a quilt, isn't it a quilt? 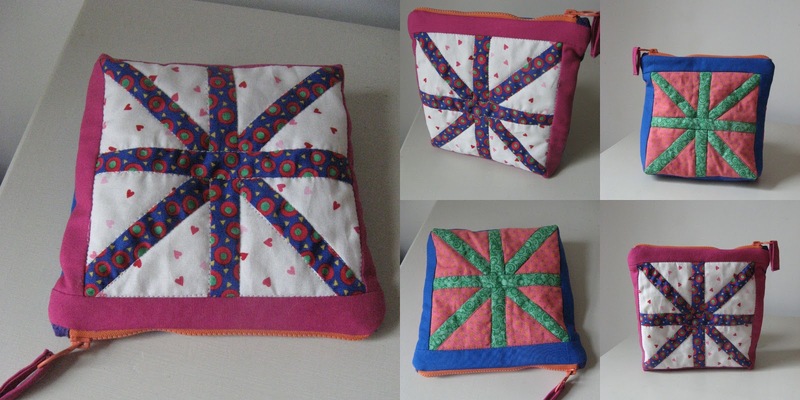 - no it's a pouch which I love all the more cos it is done and dusted! Only had two blocks to start with and ended up with a new use for them. The Wonky House quilt started out in January as a pile of blocks but now all are sewn in strips and quilted as you go! I just need to stitch those rows together and I'm planning a border too! I have one other strip which hasn't been attached yet. And my Spool quilt is so close to a finish I can almost taste it! Had a few wee issues with some tiny pleats on the back which I am unpicking and putting to rights! Then I'll be binding it and it will be finished! But no progress on this one which remains my oldest UFO - thinking it might be fitting to finish the year with this one - first in, last out! 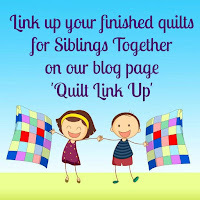 The main problem is I am swithering between FMQ and handquilting it and just cannot decide! It is all hand appliqued using the needle turn method - and some of the HST sashing may even be hand pieced! Any suggestions? 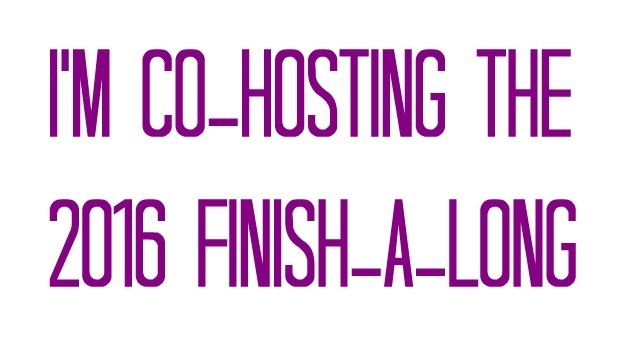 I think there may be a few finishes in Quarter 2! I do hope so! Linking up with Leanne at FAL HQ - will I see you there? 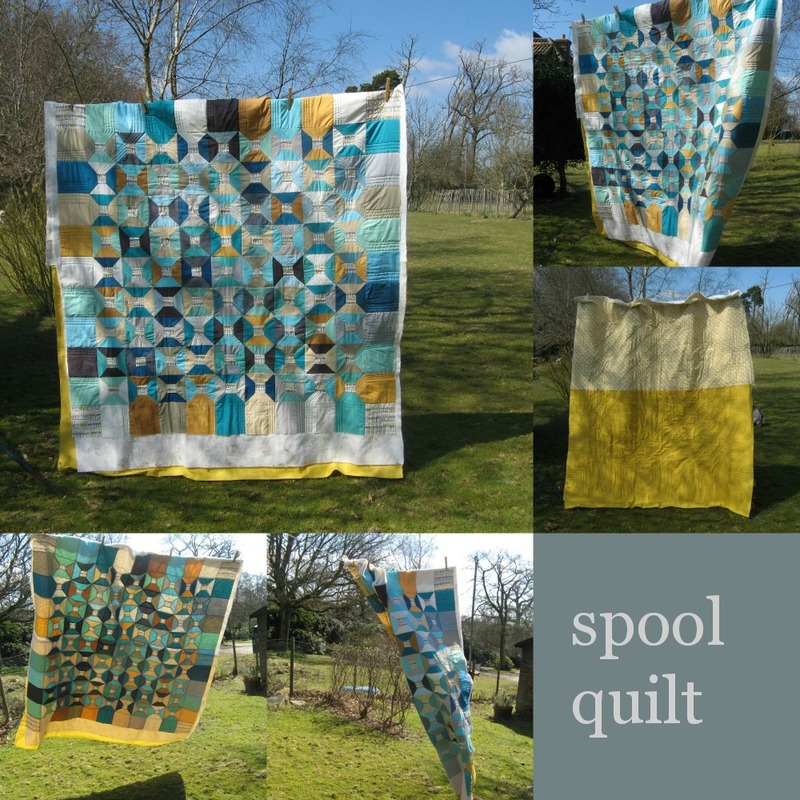 Oooh that spool quilt is amazing!! You've done amazingly well, my favourite has to be the table runner! On the oldest WIP I guess the choice is getting it over and done with (machine quilting) or continuing the labour of love theme (hand quilting). So it depends how much you actually still like it. Another idea would be to save up to get it long armed- minimal effort from you and it's guaranteed to look beautiful. Wow, you have done so much. 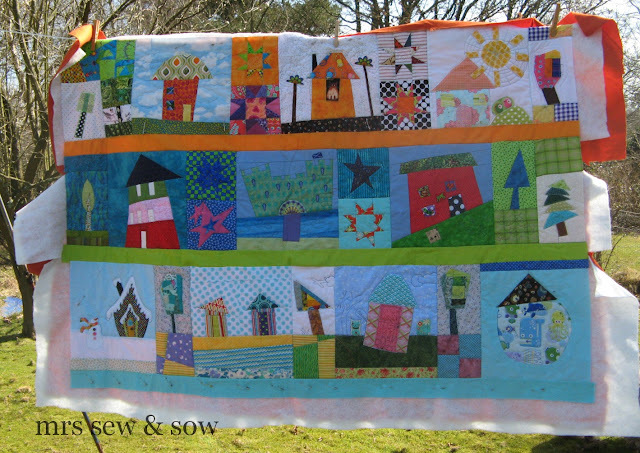 Love your spool quilt, the colours are just lovely. great job on your finishes and near finishes. Glad to see my favourite ufo still hanging in there. 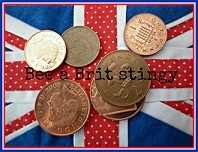 I suppose you need to decide yourself how you want it to be finished so sorry not much help. Go with your gut even if it means it may take longer to finish it. 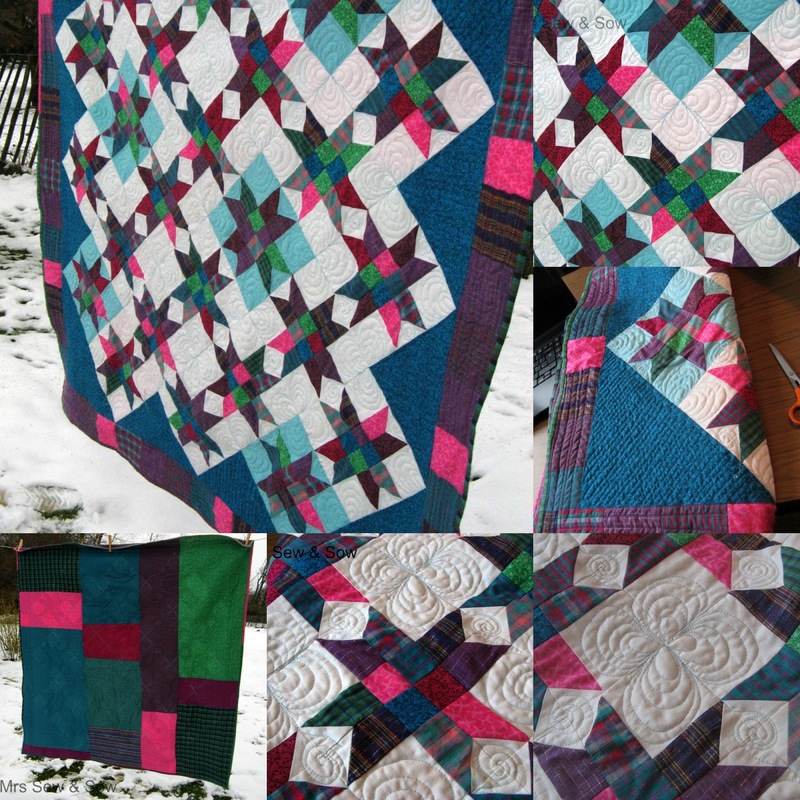 I love the colours of your spool quilt! 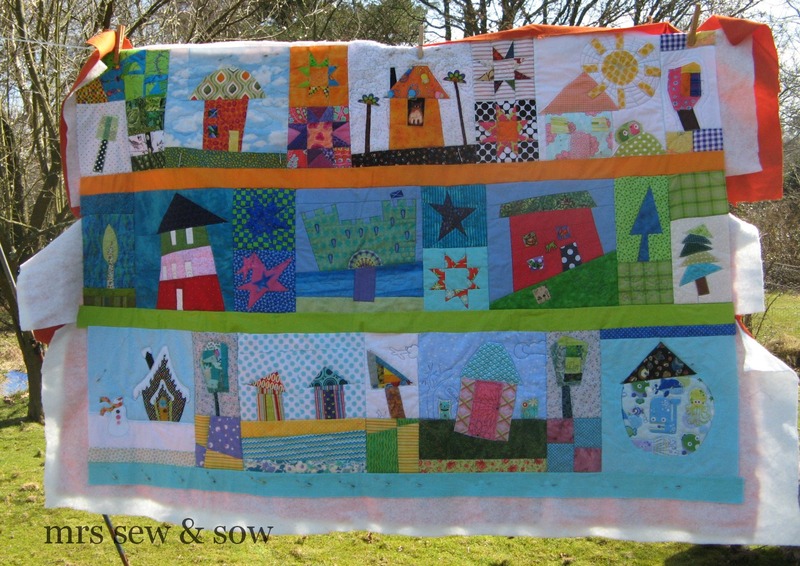 And your Friendship Garden deserves to be hand quilted! Garden quilt would be so nice hand quilted, but what ever you decide will be lovely. What a lovely bunch of quilts. Perhaps the appliqué quilt could be a winter hand project? 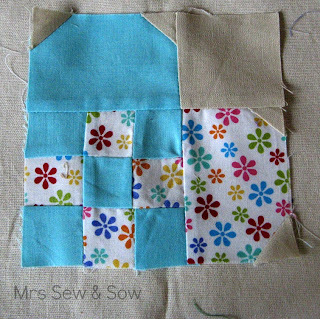 I love the wonky house quilt because I'm fond of bright colours and I love the house designs. Your other quilts are beautiful too. 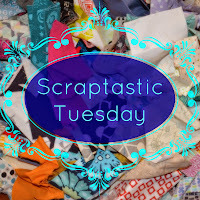 You're going to be the queen of Q2 if you finish your applique quilt. Amazing! I love the mustard with the many shades of blue in your spool quilt. 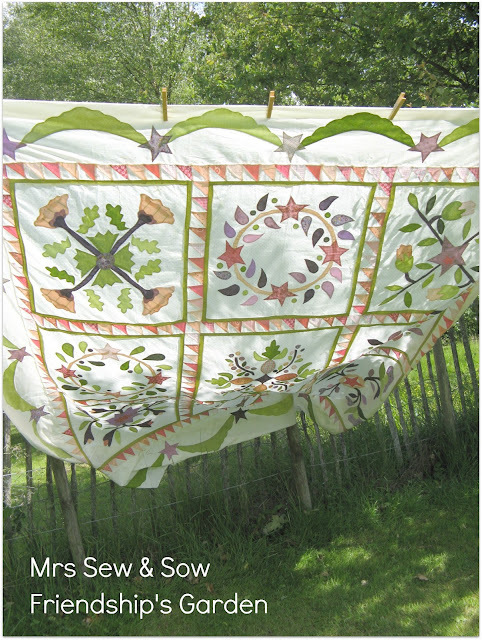 And your quilting on the first quilt is just beautiful. So many pretties here!